We march on through Fantastic Savagery Week (#savageworlds) with this pulp swords-and-sorcery offering from Polish-powerhouse publisher GRAmel. 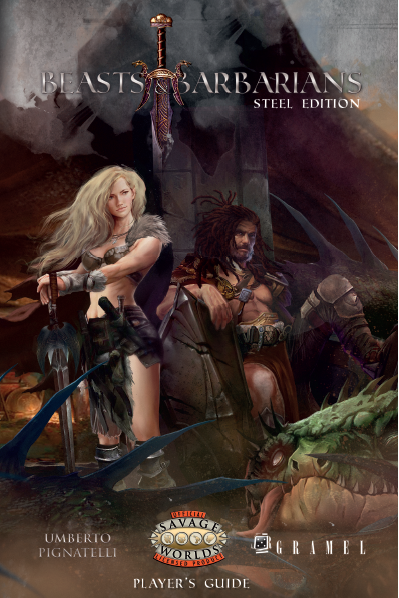 Beasts & Barbarians is a paean to all the great tales of powerful warriors, strange magic, and a brutal world of savagery, and arguably the best expression of that for Savage Worlds. The Steel Edition is a powerful update that sets the stage for your entry into the entire Beasts & Barbarians world of products.